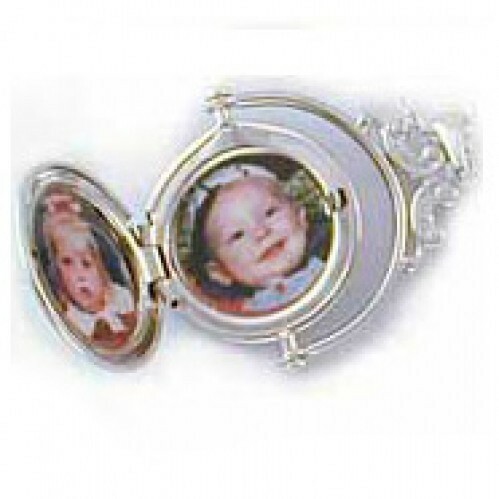 Get two looks in one, with this wonderful Victorain spinner locket. The back is plain and engravable. It looks great with a single initial or monogram! It measures 3/4" in diameter and aprox. 1" including the frame. 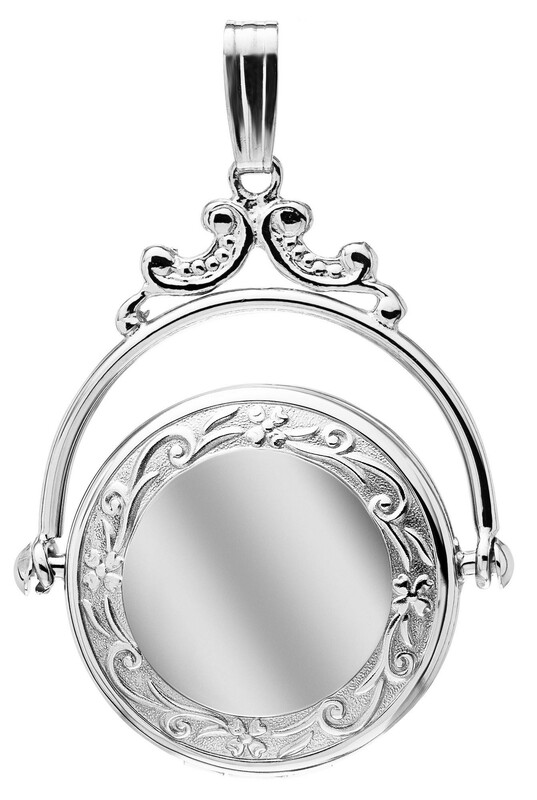 Made in the USA of fine sterling silver in the traditional Victorian style. An 18" chain is included. 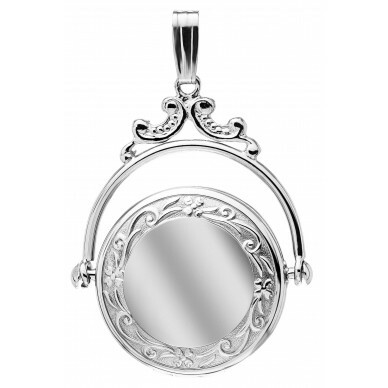 Also available in 14K yellow and 14K white gold. Comes boxed.